Digital Transformation is no longer optional. For any Procurement group looking to embed itself at the executive level - even survive into the near future - it's become increasingly urgent. While a staggering majority of CPOs expect to realize an evolution soon, a surprising few have identified how they'll do so. Some areas look more digital-ready than others. Though a huge chunk of organizations still manage their supplier agreements and legal documents manually, Deloitte's CPO survey suggests that few organizations expect technology to impact their approach to this all-important process. 19% of surveyed Procurement leaders say it's the area least likely to see big, tech-enabled changes. This is perhaps fitting given the structure of the typical sourcing cycle. The stereotypical idea of languished contracts, stuck at the bottom of a filing cabinet, is ubiquitous for a reason. Even organizations with a dedicated system for managing contracts generally leave negotiations as the last step in the sourcing cycle. Treating negotiations as an afterthought often means running into additional roadblocks at the last possible moment. A foreign supplier, for example, might not meet Legal's regulatory requirements. Such a supplier would wind up disqualified even after 'winning' your business. And that's just a worst case scenario. As 'soft skills' like negotiations become core competencies for Procurement, it's especially risky to leave contracting to the last moment. Thought leaders including Nick Heinzmann of Spend Matters have begun to call for a more 'contract centric' approach to the sourcing cycle. He encourages organizations to place compliance alongside price and capability as criteria for evaluating suppliers. "Doing so," he writes, "will create significant opportunities for Procurement to reduce value leakage, guard against serious risks and accelerate the pace of businesses." Heinzmann's argument is effectively an argument for introducing digital contract management tools. The new workflow he outlines relies on a "dedicated enterprise contract management platform" that can call on historic price points and other valuable data. Though so few CPOs view contract management as a target for digital innovation, he suggests it ought to take precedence. A digital solution is not, however, absolutely necessary for taking a more informed, strategic approach to contracting. Employing new methods starts with making Procurement a more valuable ally to Legal teams. For many, this process could ultimately help build the business case for investing in a solution down the road. Procurement professionals aren't lawyers. No organization could reasonably expect their purchasing team to develop faultless contracts or navigate the ups and downs of protracted negotiations on their own. Every organization should insist, however, that Procurement collaborate with Legal effectively. While your organization's size and maturity will affect how Procurement and Legal interact, every business can take the steps to ensure Procurement is capable to engaging with Legal on its own terms. Part of this process involves educating Legal on Procurement's goals and the intricacies of its supplier relationships. Equally important, the process should see the function develop a working understanding of essential legal terminology. Continuous Improvement - Though they come in many forms, continuous improvement clauses are all constructed around the same idea. They state that a supplier will commit to reducing costs and/or improving service levels over the life of an agreement. While they might sound great on paper, these are generally cause for concern. In many cases, the onus falls on the customer to actually see cost reduction and process improvement through. Early Termination - Early termination clauses detail the rules for calling off an agreement prior to the agreed-upon expiration date. One of the most common types is the 'default clause.' This applies to situations where one party fails to meet the obligations established for them. Force Majeure - This clause provides an exemption from liability in the event of so-called 'acts of God.' Typical examples might include natural disasters, war, or strikes. Though such events are - by their very definition - relatively unlikely, it's important to evaluate them carefully to mitigate risk. Indemnification - Also called the 'hold harmless' clause, this outlines the financial responsibility one party will accept if the other party is sued. For example, an office supplies contract may include an indemnification clause barring you from suing if an employee is injured by a pair of scissors. Renewals - While the term is self-explanatory, it's important to keep an eye out for specific details related to the renewal process. 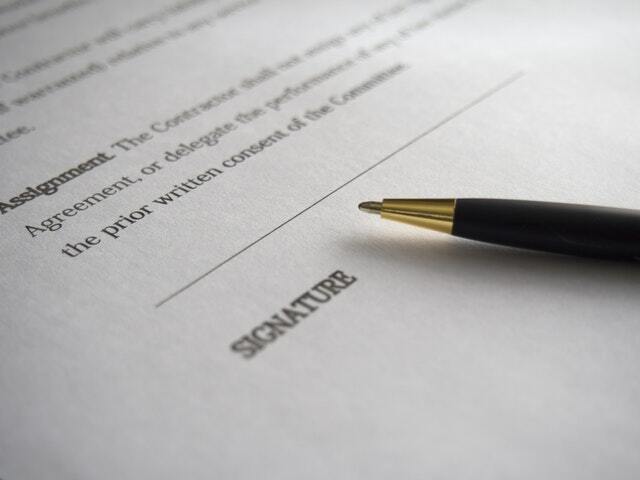 Organizations without a dedicated contract management system could find themselves in big trouble, for example, if important contracts have 'silent renewals.' Auto-renewal could prove costly, too, if an organization is locked into a less-than-ideal relationship. Right to Audit - The right to audit empowers the customer to audit their supplier's internal documents to ensure they have honored the terms of an agreement. While these are typically built around pricing, other factors like service level metrics could play into them as well. Right of First Refusal - A kind of termination clause, this allows the customer to terminate an agreement early if they discover a lower price option in the marketplace. Remember, in markets where pricing is specialized and suppliers offer distinct services, this clause could come off as unethical. Even if your organization cannot afford a robust contract lifecycle management solution, a more effective approach to supplier agreements is well within reach. Integration between Legal and Procurement will ensure both smoother negotiations and a more risk-averse approach to managing contracts in the long-term. Though Procurement and Legal should work as allies, it's important Procurement maintain control over its supplier relationships. After all, they're the ones tied to the end result. Functioning as a project manager, Procurement should stay active throughout contracting to ensure timelines are met, service levels are consistent, and messaging is clear. Building the confidence and internal clout to play this role could be as simple as cracking open that legal dictionary.